Tourism to Spain is on a roll. Overall arrivals to the European destination soared to 81.8 million tourists in 2017, including a record 489,307 Canadians – representing a growth of 25.2%. Overall tourism arrivals represented an 8.6% increase from 2016, and positioned Spain in second place on the world ranking of most visited countries, following France. 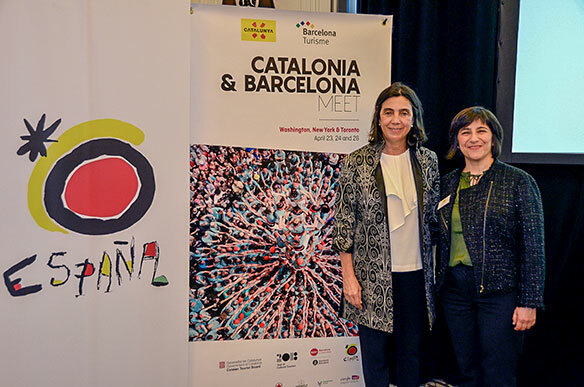 While Barcelona, with its historic Gothic Quarter, La Rambla and some of Antoni Gaudí’s most recognized works, proved to be popular for Canadians, Cristina Gargallo, North America Director, Catalan Tourist Board, says the region offers much more than the draws of the city. From the Pyrenees mountains to 500 km of coastline ranging from long sandy beaches to fishermen’s villages, she says travel agents can increase their bookings to Spain by taking advantage of the surrounding areas. El Celler de Can Roca, which has been awarded best in the world twice by the The World’s 50 Best Restaurants ranking. Home to more than 50 Michelin-starred restaurants, and known for being the birthplace of Cava, Gargallo says the culinary scene is another top draw. “We have tapas stores, wineries, slow food restaurants, food associations – a lot of initiatives around the theme of food; and also now, we always talk about wineries, but we also have a lot of beer in Catalonia, as well,” she says. As 2018 was named The European Year of Cultural Heritage, the region is also promoting its cultural offerings. Following Catalonia, Madrid and Andalusia were the most visited regions in Spain by Canadians. “We work very closely with [travel agents], and they believe in our product in Spain and in Catalonia, and so they play a very important role for us,” says Pena Alberdi.